Digital marketing has undergone significant changes over the past two decades, and I have been lucky enough to have a front row seat. I was able to work with some of the first ad servers and at one of the earliest programmatic paid media companies, Right Media, spending several million dollars per month acquiring paid media. It’s been really exciting to see the vast growth and development in technology supporting paid media acquisition. Two developments that have really grown are the increased usage of 1st party data (data you already have collected on people) and predictive marketing solutions (technology that analyzes big data sets to provide predictive recommendations). 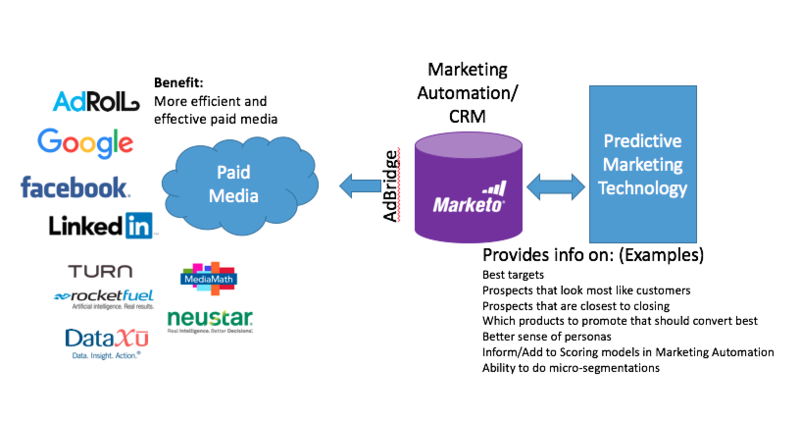 This blog will explore how paid media acquisition benefits from predictive marketing solutions and 1st party data, through the perspectives of leaders at predictive marketing technology companies. At Marketo, not only do we provide leading tools for marketers to be better marketers, we also use a lot of great technology ourselves. 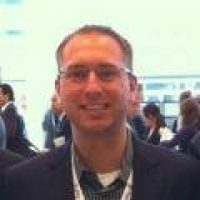 I recall a webinar in 2013 with David Gerster, former head of data science at Groupon, where we dove into how Marketo used data science and predictive marketing technology from Gainsight to help turn big data on our customers into insights to drive increased customer success. Fast forward to today, the use of predictive marketing is exploding (in a good way)! Companies offering predictive marketing technology are getting noticed! What about predictive should you marketers take note of? Predictive marketing technology has the ability to drive huge improvements in marketing—by utilizing data to drive more efficiency and allowing for uniquely personal engagement. Within your marketing automation system and/or CRM, you have a wealth of data collected on the people that you market to. This is a very valuable asset for any company—so make sure you use the information your audiences have provided to help inform future engagement. Predictive marketing solutions help organizations prevent attrition costs of customer acquisitions (such as what I mentioned with my early work with Gainsight), but more importantly, they help improve digital marketing campaigns offered to specific targeted groups for better lead scoring and understanding of customer propensity to buy a specific product. A recent report by Forbes Insights entitled “The Predictive Journey” surveyed 308 CMOs and business unit directors, and found that nearly half of the organizations deeming their usage of predictive analytics to be “highly advanced” credit the technology with increasing their ROI by more than 25%. I sat down with some leaders in this space, and they revealed some insights into how predictive marketing technology can help marketers reach their customers. Predictive marketing technology gives marketers the ability to achieve full potential from their data. Start gaining more value from the 1st data within your CRM and/or marketing automation platform and consider using predictive marketing technologies to make your paid media campaigns more efficient. 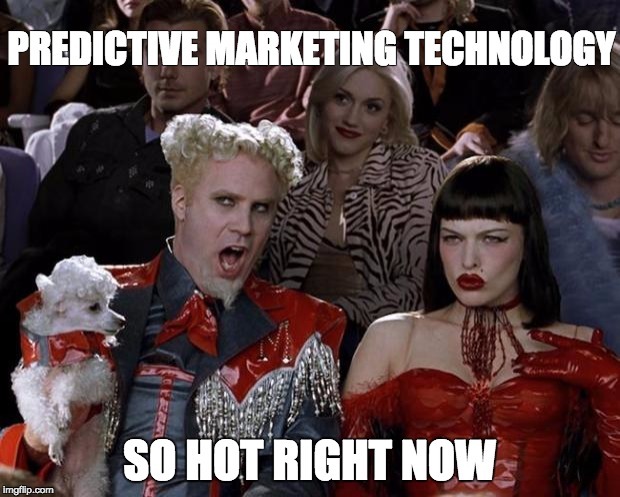 Do you have experience implementing predictive technology in your marketing campaigns? Or do you plan to? Share your story in the comments below.